Responsible Retailing of alcohol involves a combination of effective training, alcohol service policies and practices, and continual and effective management involvement. Management involvement and practices are the most important components of responsible alcohol retailing. Maj. Willingham, PhD has extensive experience working with alcoholic beverage retailers, state and local regulators, and other stakeholders in solving alcoholic beverage sales/service and premises security related issues. Dr. Mark Willingham’s foundational experience in unique among those providing consulting services in responsible alcohol retailing and premises-related security functions and processes. Dr. Willingham’s underage alcohol access prevention efforts, prevention of service to intoxicated patrons, and identification of and prevention of alcohol service to habitually addicted patrons have resulted in his recognition as a national expert called upon to assist the US government, states, communities, and organizations throughout the country through training, consulting, and technical assistance. His work has influenced public policy, generated awareness on these substantive issues, and has provided the basis for management and program decisions on both the National and State levels. Maj. Mark Willingham, PhD served as a State Police Commander with Florida Division of Alcoholic Beverages and Tobacco and was responsible for law enforcement, regulation, licensing, and assistance to over half of the 70,000 alcoholic beverage and tobacco retailers in the state. During his tenure he conducted or managed over 2,500 arrests and criminal prosecution for alcohol law violations. 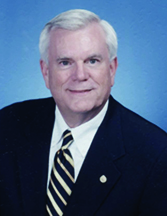 During his tenure Maj. Willingham served as a state hearing officer, served as Florida’s Youth and Alcohol program administrator, Florida’s Responsible Vendor program administrator in which he oversaw the content and delivery of responsible beverage service training programs, and the Enforcement Director for the Governor’s tobacco-settlement funded Anti Youth Tobacco Program. 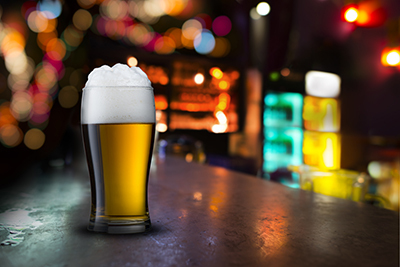 Dr. Willingham provides expertise and consulting services to governments, universities, non-governmental organizations, and alcoholic beverage industry associations and managers in matters relating to responsible alcohol service and alcoholic beverage premises security. He is a resource to the alcoholic beverage industry in risk assessment and abatement and assists the industry develop and implement reasonable and effective policies, practices, training, and management activities that exceed legal requirements and prevailing industry practices. Dr. Willingham’s primary focus is assisting the alcoholic beverage industry prevent alcohol sales and service to intoxicated patrons and leading to intoxication, alcohol service to minors, alcohol service to habitually addicted patrons, and other violations of law. Policies and practices related to the safe service of alcoholic beverages and maintenance of a safe environment including the prevention of security risks and poly-drug use and distribution. Training for bartenders, servers, clerks, owners, management, front of the house employees, and security staff in identification of and prevention of improper alcohol service and premises related harms including to training in processes to prevent patron intoxication, prevent alcohol service to intoxicated patrons, prevent alcohol service to habitually addicted patrons, and prevent alcohol related security related harms. Management of alcoholic beverage service/sales and security functions and alcohol service management systems. Business plan development including alcoholic beverage license type, license acquisition, facilities location and design, and employees screening and selection.